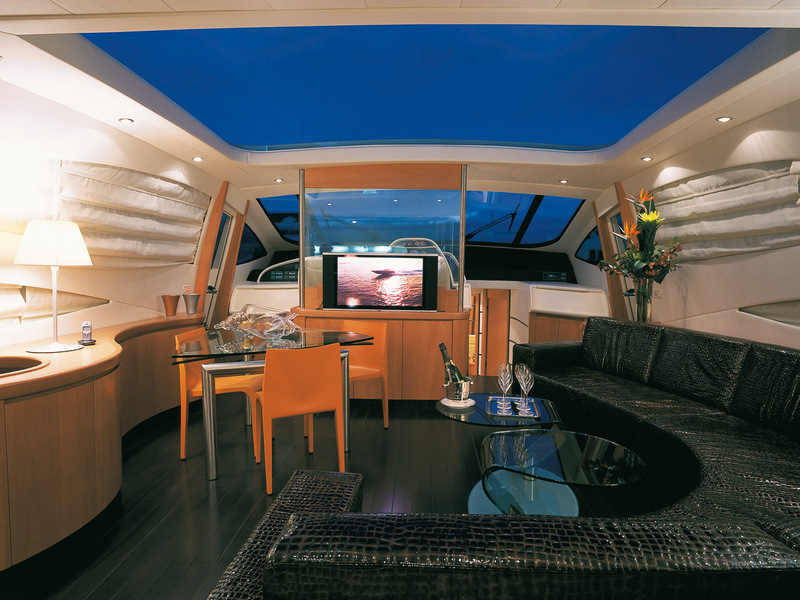 The panel gain personality and obtain the cover of “Yachts” in the same year of its launch. 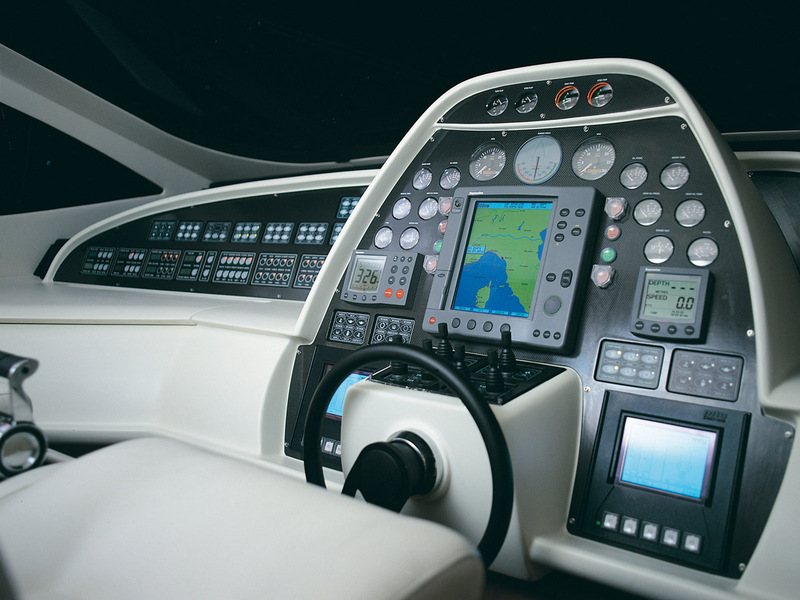 It becomes a totem-shaped panel that includes the most highly developed instrumentations and main controls, while a second panel set on the left get together the less used ones; all the control knobs are very pleasing ergonomically designed and easy to use from the helmsman seat. After the stylistic renovation, the panel become a prestige detail in an ambience where technology is harmoniously integrated.